There was a time when Pakistani music industry was at its booms. Singer/ bands like Noori, Jal, Atif Aslam, Ali Zafar, Mekaal Hassan Band, EP,and Call were the fresh breath for our industry in 2000s but suddenly it slowed down. Many others solo artistes came but unfortunately their albums did not work out. The lack of resources, less explorer, limited music channels are few reason for the decline of our own musical industry. There is a need for a proper platform from where talent can learn and enhance its skills. We have not run out of talent. Amidst all of this, Pepsi came up with an idea of promoting music and bring a new talent in front of the audiences through a platform. Pepsi Pakistan has always supported the music scene in Pakistan since its early stages. The supporting venture was started in 2002.Pakistan’s First ever Battle of the bands was held in early 2002 and won by Entity Paradigm. This year Pepsi is back with its new programme , ‘ Pakistan idol’. Considering the biggest musical platform in the history of Pakistan, this programme started a few months back. The hunt for Pakistan’s first Idol began from Karachi and then later on the talent was found from all over Pakistan. 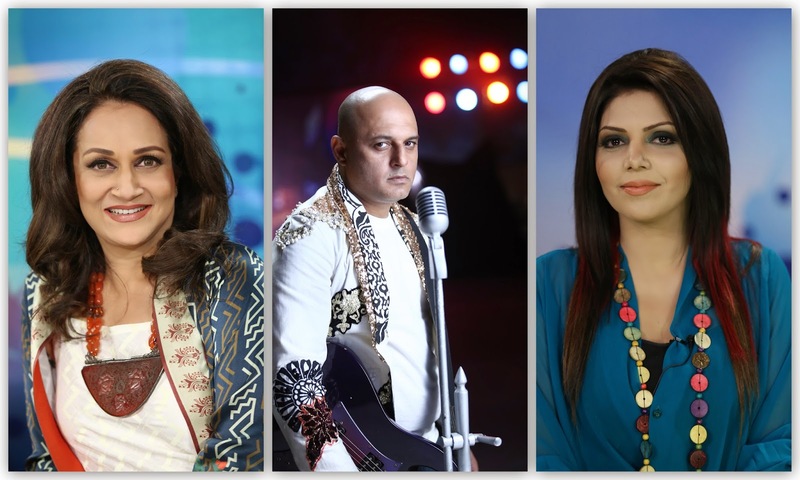 Judges Bushra Ansari, Hadiqa Kyani and Ali Azmat went to different cities for the auditions. Almost twenty-four contestants were selected from all over Pakistan. The first Pakistan idol episode was on air on 6th December, 2013 which was an instant hit. Having forty-two Episodes, the judges selected two budding singers Zamad Baig and Muhamad Shoaib for the finale. The final episode was aired on 9:00 Pm 27th April on Geo Entertainment.Celebrities like Ali Zafar, Abida Pareveen, Sajjad Ali were invited on the show by Pepsi Pakistan. Zamad Baig won the hearts of the audience and competition by one million votes of the viewers. Right after the finale Pepsi released its new TVC featuring Zamad Baig. The TVC contains clips of all the singers/bands that Pepsi supported at their early stages. In the end, now we have a new singer on our list and Pepsi has played a vital role in making this show successful. Hope we will be seeing these types of shows in the future too.